Blog | Whitley Community Preschool | Nurturing children since 1996. Come and have a little flutter and a few drinks all for a good cause. 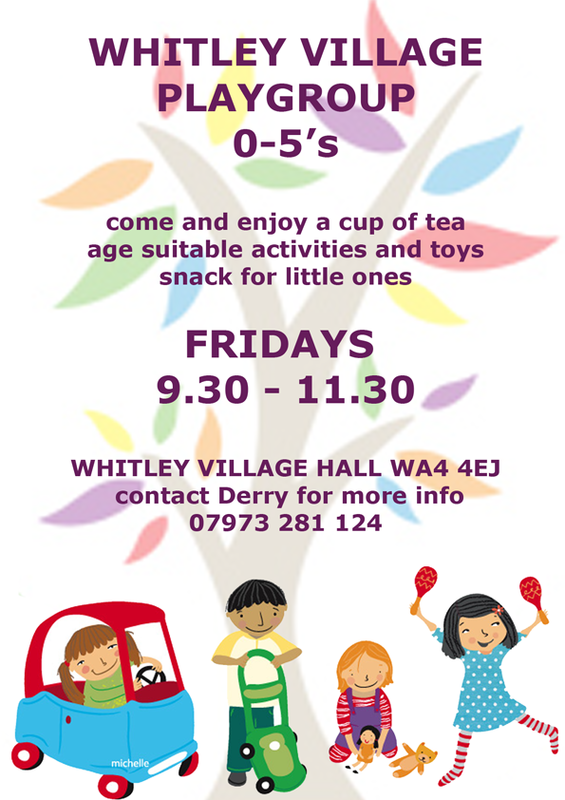 Whitley Pre-School is a thriving pre-school within an outstanding, rural village community and offers childcare and early years learning opportunities to up to 24 children between the ages of 2 and 5 years old. We are a registered charity overseen by a voluntary committee. We are seeking a highly motivated inclusion worker to work within the pre-school setting for up to 15 hours per week, starting in September 2016 until required. Flexibility in working days/hours may be required (within school hours). To provide support in addressing the needs of pupils who need particular help to overcome barriers to learning, working 1:1 with children with additional needs. Supporting pupils who may have complex medical needs and who may need emergency medical support, training will be provided. Writing and following individual educational plans. Building relationships with the children’s families and pre-school staff. Due to the nature of this post, it is essential that you have either a recognised full and relevant Level 2 qualification in early years and childcare (or higher), with Level 3 as desirable, or you are experienced in settings where children have complex medical needs and requirements. Ideally, you should have SEN experience, perhaps within a nursery or pre-school setting and knowledge of the EYFS Curriculum (if not already qualified). The ideal candidate would possess some peadiatric first aid qualifications. For more information, or for an informal chat, please contact the Pre-school Manager, Vicki Brown, Pre School Manager on 07854 422 418. 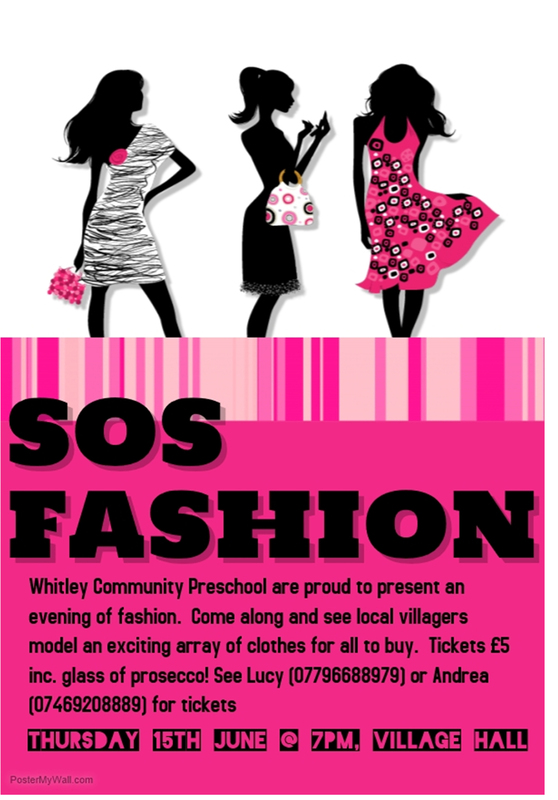 Application forms should be downloaded here: APPLICATION FORM and sent to chair@whitleypreschool.co.uk or handed in to Whitley Preschool, Whitley Village Hall, Whitley, WA4 4EJ. The closing date for applications is 12th July 2016. Please note that if you have not received a response within 6 weeks of the closing date, please view your application as unsuccessful. Please also note interviews may be held at short notice after the closing date; please indicate on your application form if you cannot attend for certain dates. Firstly, I would like you to join me in welcoming some new starters to pre-school, we have five new children who have joined us along with Suzana who you will see working in pre-school on a Wednesday amongst other sessions. For those who attend a Thursday session, could you please provide P.E.Kits for a Thursday, we will be encouraging the children to change themselves as independently and quickly as possible in preparation for school. Please don’t buy anything new, the idea is to change in to a different outfit and pumps or trainers independently without losing too many items of clothing and changing back before home time, the focus is to support self help skills rather than what they are wearing but equally, something suitable for P.E would be great. Miss Keegan has been in to pre-school to chat about other ways we can support the children for school readiness and I have requested the cups and trays from the canteen so that the children can practice carrying them with drinks etc before they start school, they have kindly been provided already. We are also practicing name writing forming letters correctly including surnames, this can also be supported at home so do please do ask for information. We are fast approaching our last half term for this year; it’s unbelievable where the time has gone. We have lots to do before then so I would just like to remind you of a few dates coming up and information that you will need to know before we break up for summer holidays. Thursday 26th May is our Fizz Fashion show, I know Derry has been in touch regarding this so please sell as many tickets as you can to support this popular event and return what you can’t. Friday 27th May is our last inset day of the academic year so pre-school will be closed until we return on Monday 6th June. Wednesday 8th June Joanne Bryant Photographer. Joanne will be coming in the morning to take a group photo and individual photo’s of the children, they are reasonably priced and there is no obligation to buy however, if you don’t want your child to be photographed individually please let me know alternatively, if you would like extra photos to be taken please speak to Vicki. Saturday 11th June Rose Queen. Derry has also sent information regarding Rose Queen, all help is very much appreciated. Due to numbers we will have a full trailer this year, we will need 4 adults to sit in each corner of the trailer, please put your name forward to Vicki, our theme is minibeasts! Could you let a member of staff know if you will be attending so that they have numbers to provide a drink and snack for the children after there hard work parading their costumes! Reserve Sports Day 29th June. Weather permitting although we don’t mind a bit of drizzle, Sports Day will take place as soon after registration as possible. This is a fun morning and the focus is on the children enjoying themselves, sometimes a child’s first Sports Day can be very overwhelming with an audience so Staff do support as best and as fast as they can, please bear with us less sporty type! All are welcome to come and watch and cheer the children on. Wednesday 6th July Visit to School for Teddy Bears Picnic. We have been invited to School for a Teddy Bear’s picnic; your child will need a Teddy Bear that they can carry. I will need 4 extra adults to walk us to and from school on this date to enable our visit. Please let Vicki know if you can help, the times will be approximately 9.45am-11.45am, you can leave in-between times or are very welcome to stay in school with us. Our summer trip will be on this date, if your child doesn’t attend on this date they are welcome to join us, we are undecided on our venue or if we have a celebration day at the Hall yet so details will follow shortly. We will need parent’s to accompany children on this date for an outing so please let Vicki know if you and your child will be attending. Your opinion and suggestions regarding our outing are welcome. Wednesday 20th July Leaver’s Concert 1.30pm. Our Leaver’s concert will be at 1.30pm on this date, for the younger ones that only attend a morning session, they are invited to stay for a packed lunch and go straight in to the concert so that they are more settled. This year will be different in that the younger children may find sitting in front of an audience too overwhelming so we will just go with the flow on the day, again, the focus is on the children being happy and enjoying themselves so we don’t want them to feel upset and intimidated sat in front of an audience, if they decide the show is over then that will be the order of the day!! The older children will still have their part to play in the concert and their own Leaver’s presentation afterwards. Please ask if you have any questions or concerns. Thursday 22nd July will be a day full of fun with Gail and Leanne and Friday 22nd July we break up for Summer Holidays, new term dates/inset dates will be sent out shortly for those returning in September. For those returning to pre-school in September, could you please inform Vicki if you wish to change or increase any sessions in September by the end of June in order for me to plans sessions and staff hours for the beginning of the new term. Finally, thank you for your continued support, please don’t hesitate to speak to me if you have any queries or concerns. I hope you have had an enjoyable half term and the children are looking forward to coming back to pre-school this coming week. A reminder that Zoolab are visiting on Wednesday 24th Feb and will be starting their workshop at 9.30am-10.30am, the theme is a Gruffalo based story so I am sure the children will really enjoy this experience. The risk assessment details are in the Parent/Carer information file available to you daily. As you all know Mother’s Day is approaching at the beginning of March, we would like to invite all Mum’s/ Carer’s/ Grandma’s/ Nanna’s etc to our special Mother’s Day Pamper Special on Wednesday 2nd March 9.30am. The children will be setting up a little salon where you can have your nails painted (remover will be provided for those little rough edges as we are still in training! ), you will then be waited on and served fresh “Mummy Love Pink Smoothie” and biscuits. The children will absolutely love being able to do this for you so please try and make yourself available or a Grandma for half an hour or so, so that we can provide the children with these exciting and special experiences in pre-school to share with you and have a little fun. We plan another “Whitley Cafe” soon where this will be open to all, further details to follow. Finally, could I ask that you confirm by return email or text if you plan on increasing any sessions over the next half term, we need this information to ensure fees are invoiced correctly in advance so that we can stop the need for cash being handed to staff in pre-school, as you can appreciate it is a far better option to have all fees paid by bank transfer to ensure finance records are provided and reduce numerous trips to the bank. In addition, we do plan for each daily session for the children we know are present and of course have to ensure staff ratio in advance, thank you for you support in this matter. I look forward to seeing you at pre-school this week and hope that you can make the Mother’s Day Pamper Special!